FDA Boosts Its Heart-Attack Warning On NSAIDs, Sows Confusion : Shots - Health News High doses of nonsteroidal anti-inflammatory painkillers do increase the risk of heart disease and stroke. But good luck trying to weigh risks and benefits for yourself. 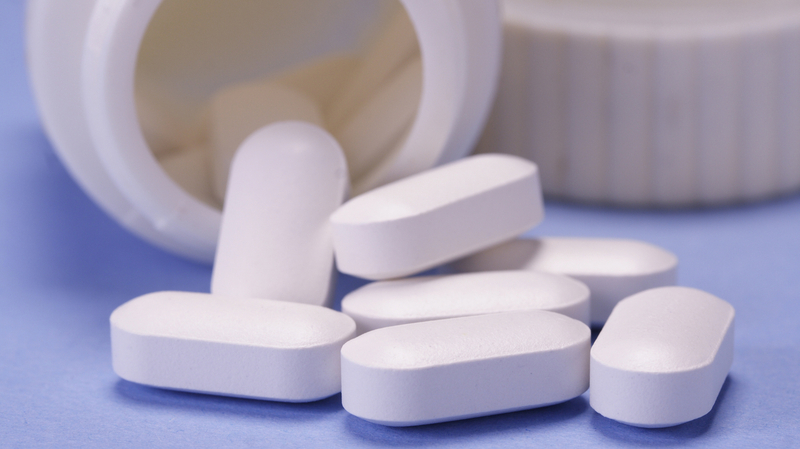 It's long been known that taking NSAID pain relievers can increase risk of stroke and heart attack. Researchers have known for 15 years that these drugs, in high doses, can increase the risk of heart disease and stroke. But the drugs are also powerful tools for easing the pain of arthritis, headaches and muscle injuries. So how do you balance the benefits of taking these drugs against the risks — especially when the risks aren't clearly stated — or in fact clearly understood? That's not easy. "I'm already hearing from patients who are asking, 'Should I stop taking my occasional Motrin?' " says Dr. Steven Nissen, chairman of cardiovascular medicine at the Cleveland Clinic. His answer is no. "We're not telling the public if they have pain that they should suffer," says Nissen, who has been involved in this scientific controversy since the beginning. The short answer he offers could apply to any medicine, anytime, and you don't need to read a fine-print warning label to know this: Take as small a dose of a medicine as is appropriate, and take it for only as long as you need it. Well, that's confusing. For guidance we turned to Matthew Kreuter, director of the Health Communications Research Laboratory at Washington University in St. Louis. He says that last point in particular is perplexing. "It's not clear why you would bring that up at all — it seems that would confuse, not help matters." He's not surprised to see that language, though. "The purpose of the label is not solely for patients, of course. There are legal reasons these labels exist," he says. In fact, Kreuter says there's evidence that most people don't read the fine print, so the warnings "don't have a lot of influence." Doctors, however, are supposed to pay more attention to all these details if they are going to prescribe a drug. The language the new warnings replace is clearer, but the FDA has decided it was less accurate. Pull out your magnifying glass and you'll see the heart of the current warning is that "the risk of heart attack or stroke may increase if you use more than directed or for longer than directed." The FDA's new language will apply to both prescription and over-the-counter products. At those lower doses, Nissen says, the science behind these recommendations is even fuzzier. These drugs have been around for so long, yet "nobody had ever done the kind of high-quality clinical trial we need to know if these drugs increase the risk of heart disease." He's leading a study right now to get that answer. Funded by Pfizer, it involves 24,000 patients who are taking high doses of these drugs — equivalent to 12 standard ibuprofen pills a day. The results aren't due until next year, but Nissen says he can see already that there haven't been many heart attacks, strokes or other cardiovascular events, so he can say that "the risk is not large." But when 29 million people are regular users of a drug, even small risks can be meaningful. Nissen says he boils down all the FDA language to two words: Be cautious. "And I agree with that advice," he says.